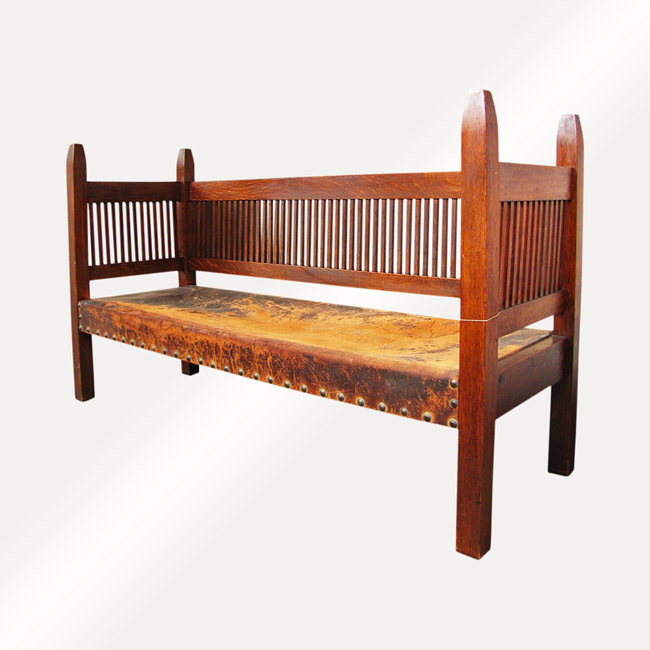 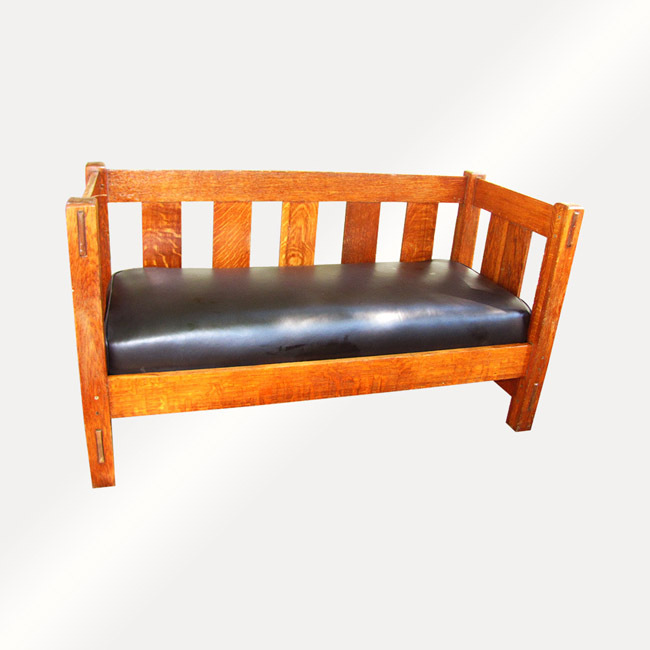 This is a rare Gustav Stickley bench circa 1901 Mission Arts & Crafts in very good condition. 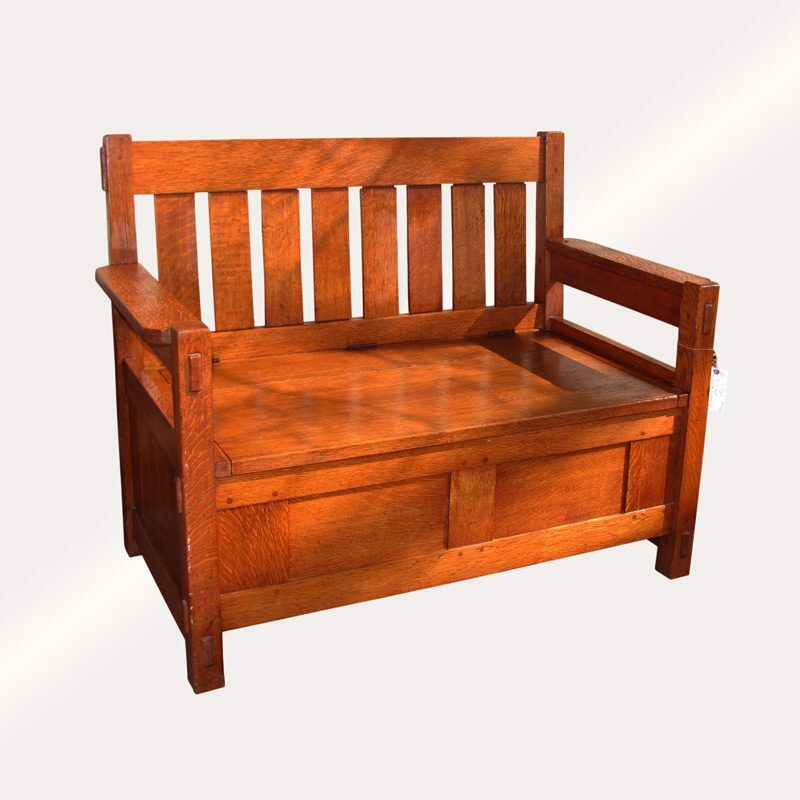 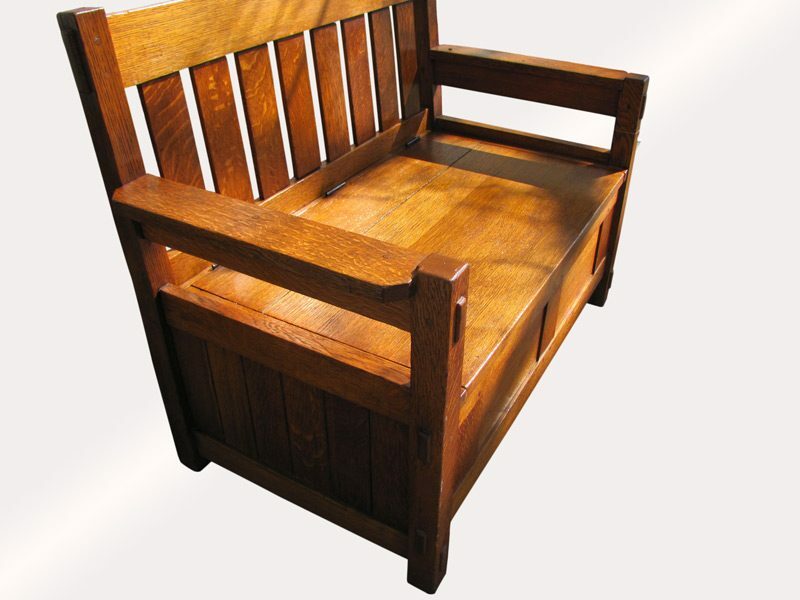 The piece is made of excellent quarter sawn oak and great form with lift seat for storage. 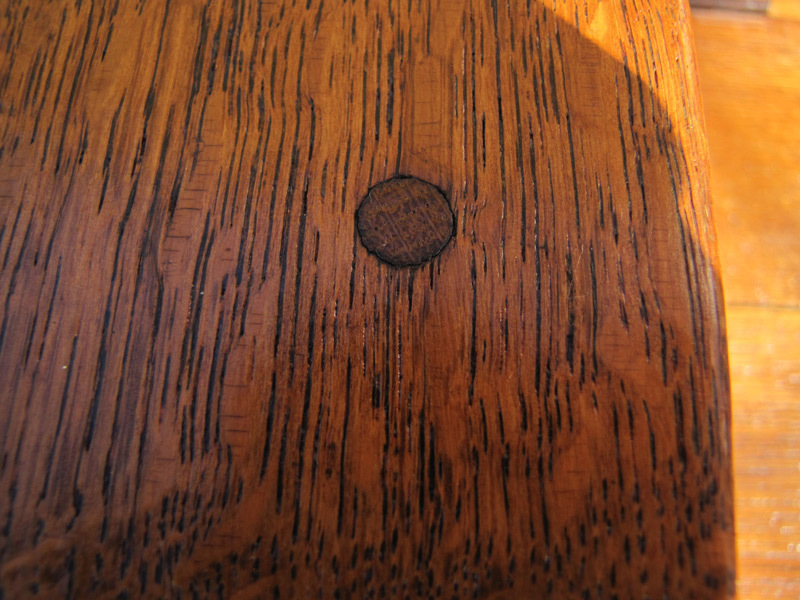 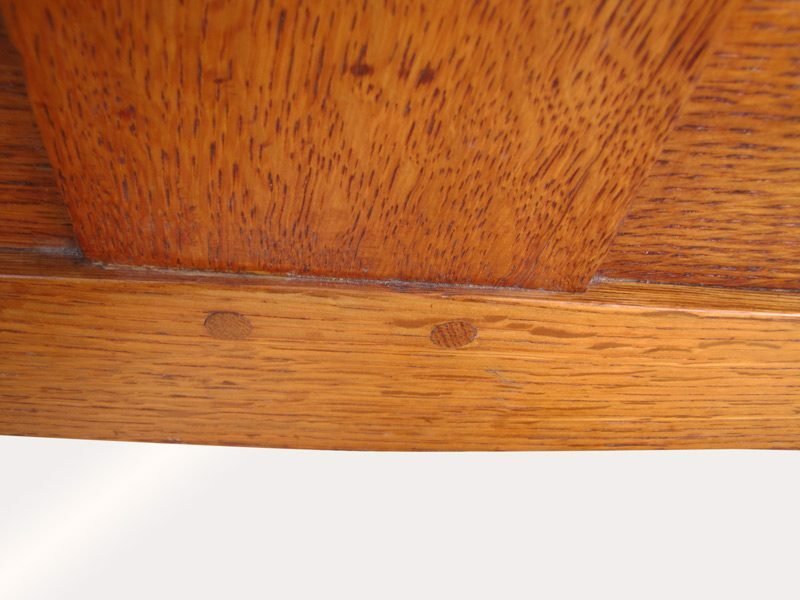 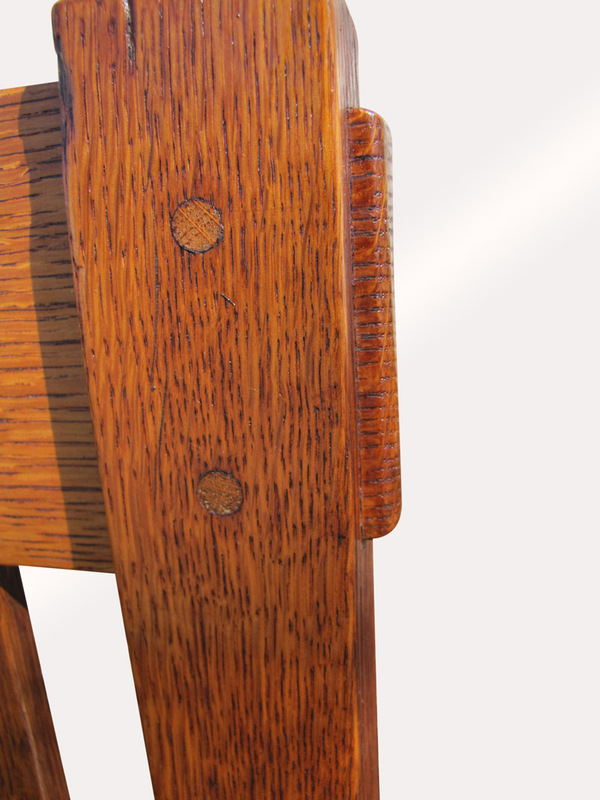 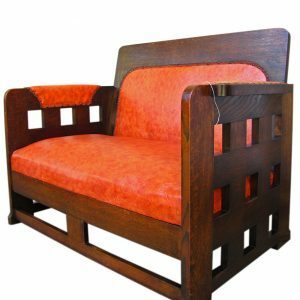 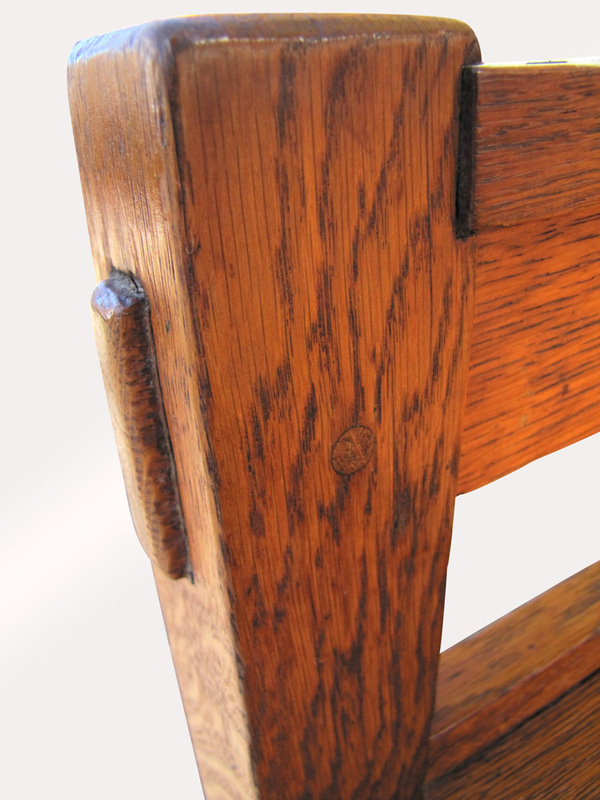 The arms were pinned three places on each arm (this is the first time we see on any works of Gustav Stickley) and the bench feature pinned through tenons construction all over to front, to each side and the back top and bottom. 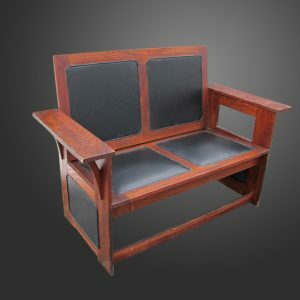 This is the second like this model we see after many years, in mid 1970.